Srinagar:The Centre on Thursday cleared an ordinance to the promulgation of an ordinance for giving reservation benefits to and Scheduled Tribes in Jammu and Kashmir by amending a clause of the contentious Article 370, which gives special status to the state. The decision was taken at a meeting of the Union Cabinet, chaired by Prime Minister Narendra Modi, Finance Minister Arun Jaitley said. “Amending the JK Reservation Act through an Ordinance to add the words “and International Border” after the word “LAC” so that the benefits of reservation available to residents of LAC are extended to International Border (IB). This would benefit residents in Jammu, Samba, Kathua,” the government said. “Through a Presidential Order, apply the 77th Constitutional Amendment 1995 to J&K. This would give the benefit of reservation in promotion to Scheduled Castes and Scheduled Tribes in government service”. “These were recommended by the SAC in it’s meeting last week to the Union Government,” it added. 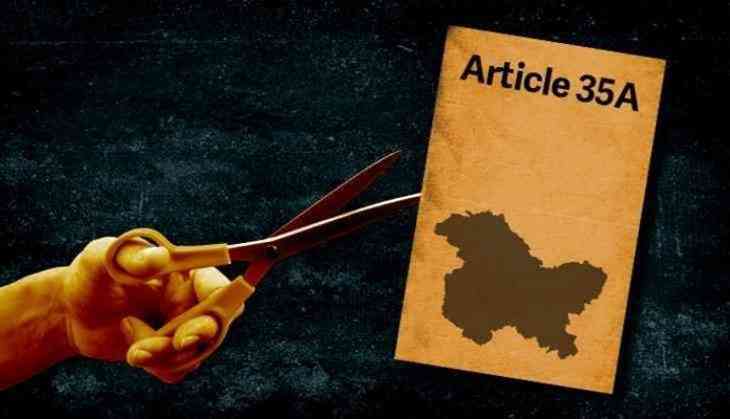 Kashmir has been tense since last few weeks over the reports that article 35 A, which gives special powers to the state of Jammu and Kashmir, will be removed or either weakened to bring change in the demography by the BJP led goverenment.